The insulation is in at Solons Alley and what a difference. The most noticeable change is the decrease in noise from the outside world. Then you notice it’s cozy inside on a cool morning. 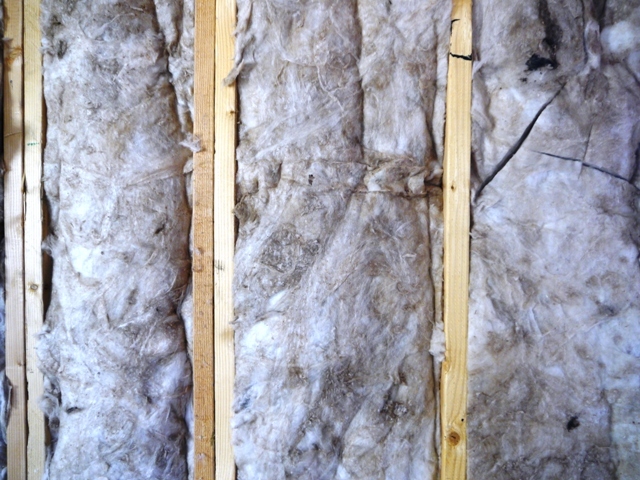 Insulation acts as a barrier to deaden sound and slow the transfer of heat. 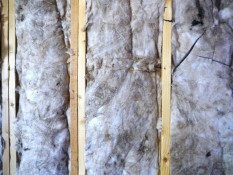 In the winter insulation keeps the warmth in, and in the summer it keeps the heat out. The wall insulation at Solons Alley homes is rated R-21. 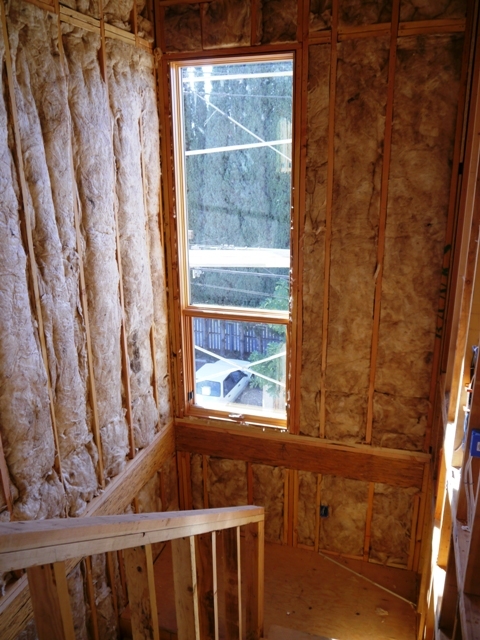 The ceiling insulation is R-38 plus rigid board insulation on the roof deck for a total R-Value of approximately 47. The “R” stands for resistance to heat flow, and the higher the R-Value, the greater the insulating power. 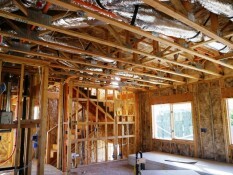 The energy performance of a home is calculated using a computer model that takes into account the building floor, roof, walls and windows as well as the performance of the heating and air conditioning system and the type of water heater. The two Solons Alley Residences under construction exceed the 2008 California Energy Standards applied during approval earlier this year. Also, a solar energy system is included in the homes. Careful programming and use of the high-efficiency heating and air system combined with the electric energy generating solar system should result in reasonably low utility bills for home owners.